On September 10, 1908, the AAA Race Commission announced plans to christen the Motor Parkway with an event called, “The Long Island Motor Parkway Sweepstakes.” Five concurrent stock car races were scheduled for October 10, 1908. The idea was to create an opportunity to test the new course, timing systems, and crowd control for the Vanderbilt Cup Race scheduled two weeks later. The cars in the Sweepstakes Races were classified by their sales price. Only four cars participated in the "Meadow Brook Sweepstakes", the race for the stock cars selling between $2,001 and $3,000. 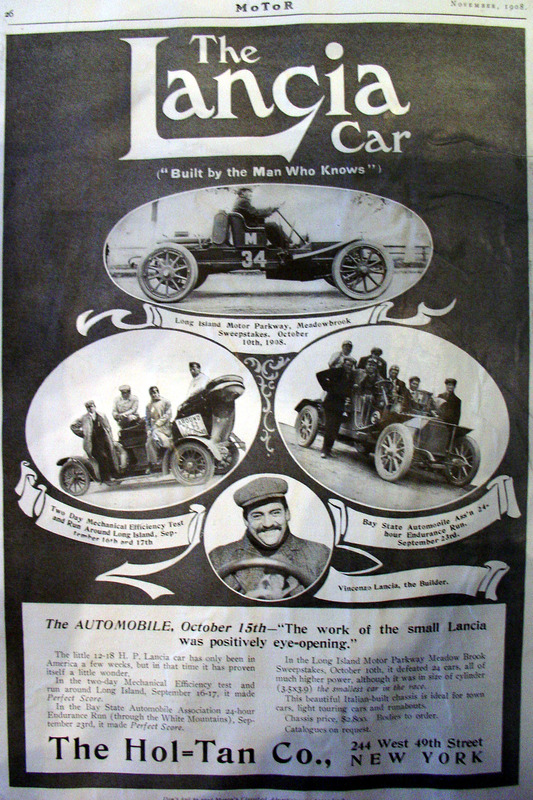 A fifth car, Louis Chevrolet driving a Cleveland, was entered in the race. However, Chevrolet on his way to the starting line tangled with a touring car and slipped into a ditch. His team was unable to extract the car from this predicament until well after all the cars were underway.The four cars in the Meadow Brook Sweepstakes raced nine laps for a total of 211.14 miles. #M32 Rainier driven by Louis Disbrow. Finished 2nd. #M35 Allen-Kingston driven by Hughie Hughes. Finished 1st, averaging 52.6 MPH.Check out the four spare tires in the back of the car. M36 Rainier driven by Axel Peterson. Finished 4th.